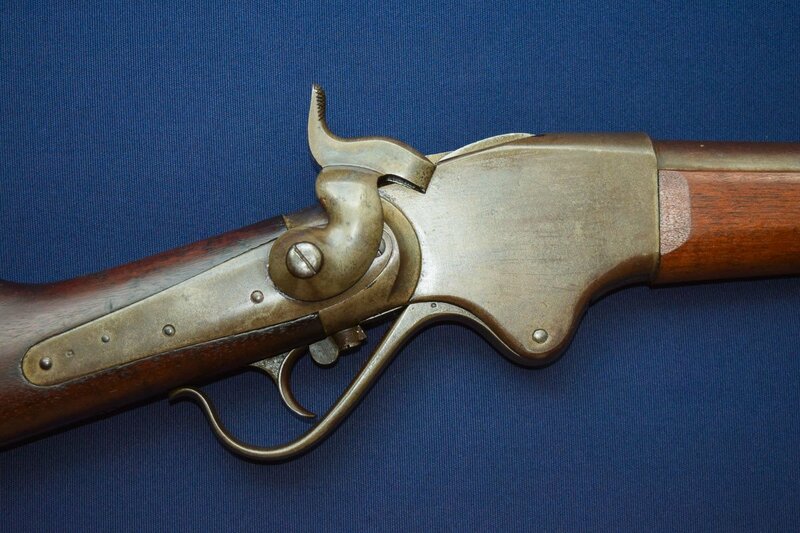 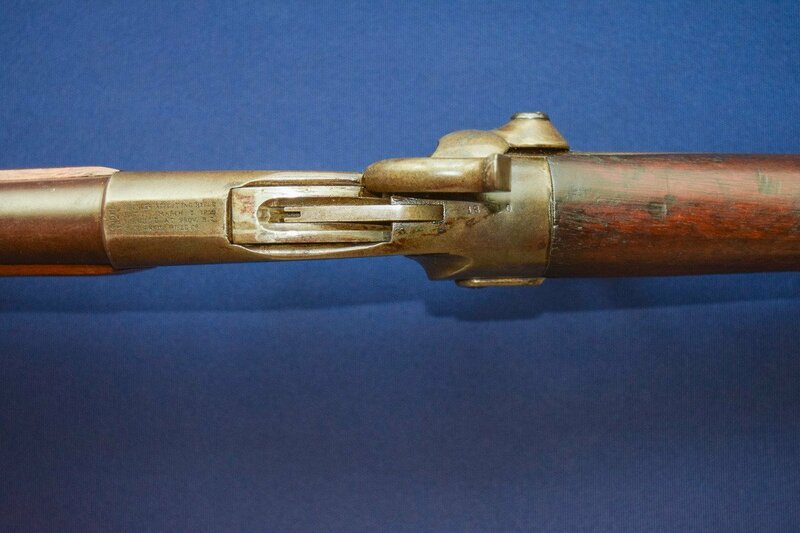 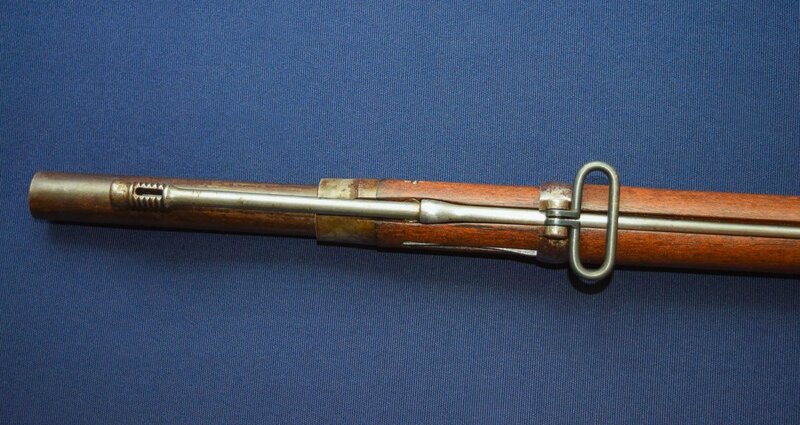 Fine example of a Springfield Altered Spencer/Burnside M1865 Carbine to Rifle Conversion. 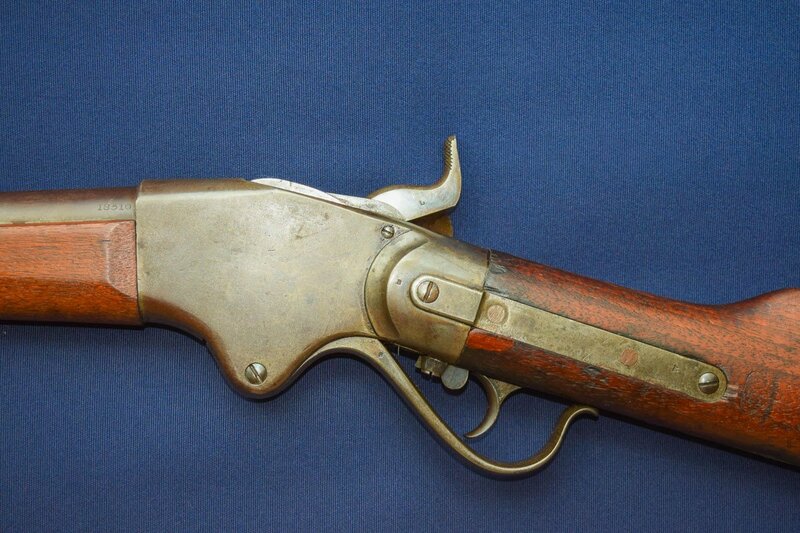 Fine example of a Springfield Altered Spencer/Burnside M1865 Carbine to Rifle Conversion. 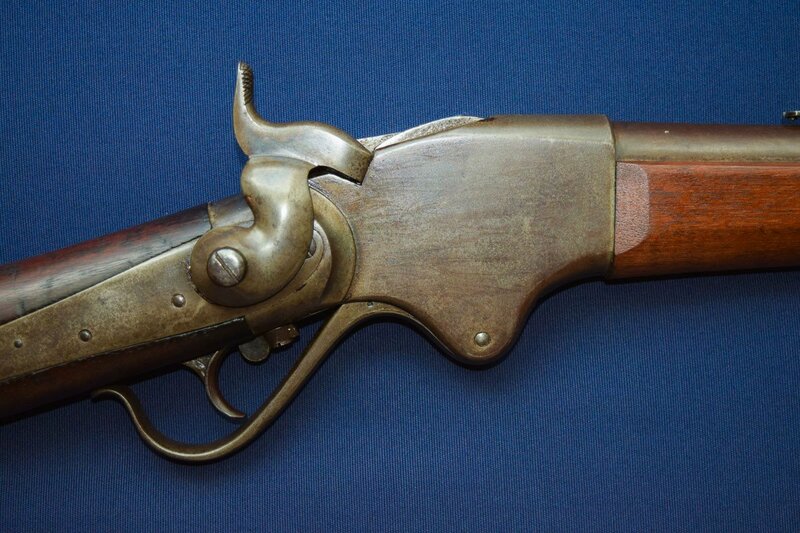 In 1871 Springfield Armory converted 1,108 Burnside M1865 carbines into rifles. 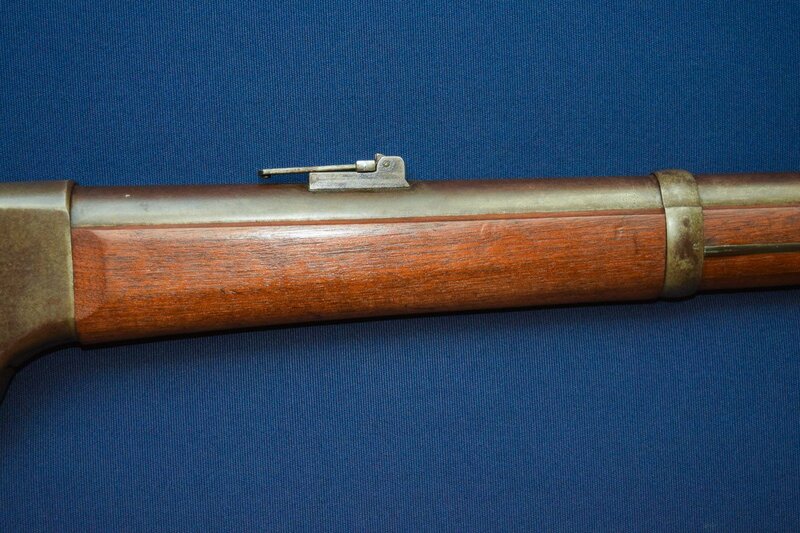 Carbine barrels were replaced with 32 ½” standard M1868 Springfield barrels with 3-groove rifling & chambered in the .50 Caliber Springfield round, a.k.a. 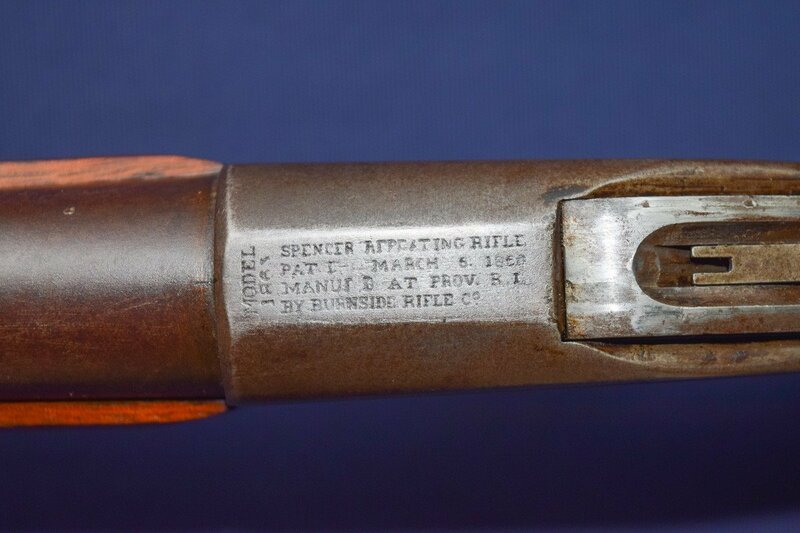 (.56-50 Spencer). 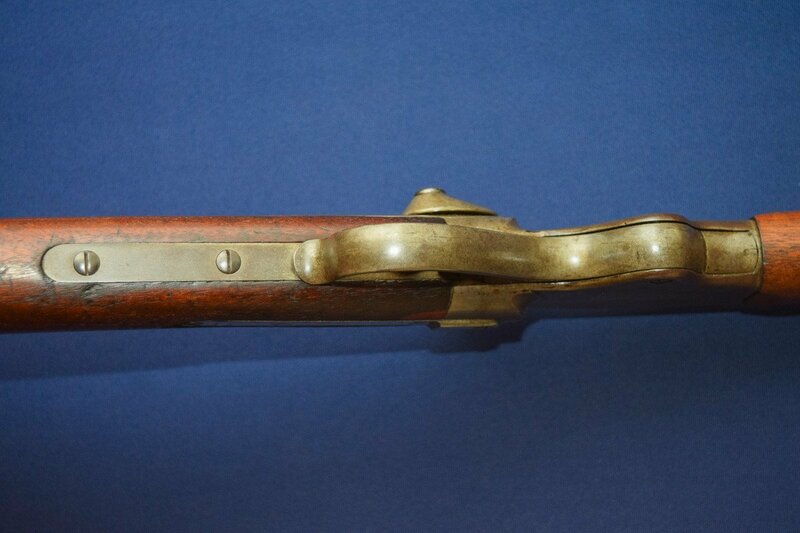 Other Alterations included the Stabler cut-off, full fore-ends secured with two-barrel bands & cleaning rod. 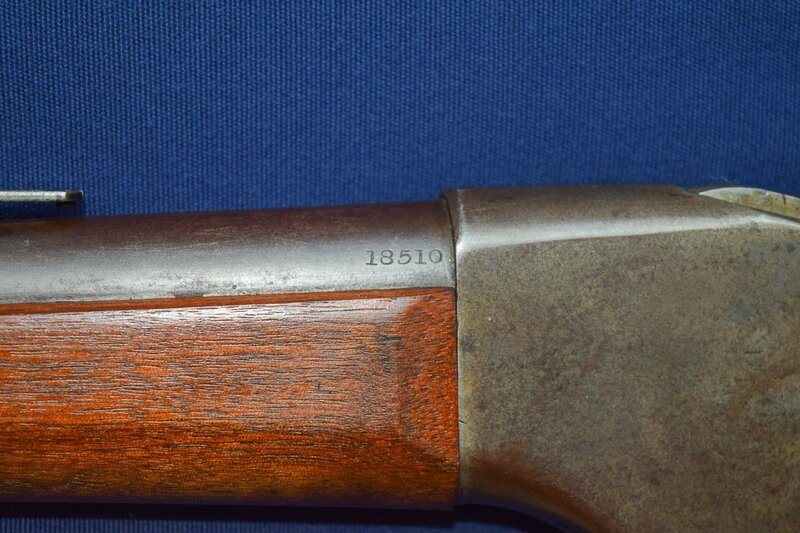 The serial number was also stamped on left side of barrel at the breech to correspond with original carbine receiver number. 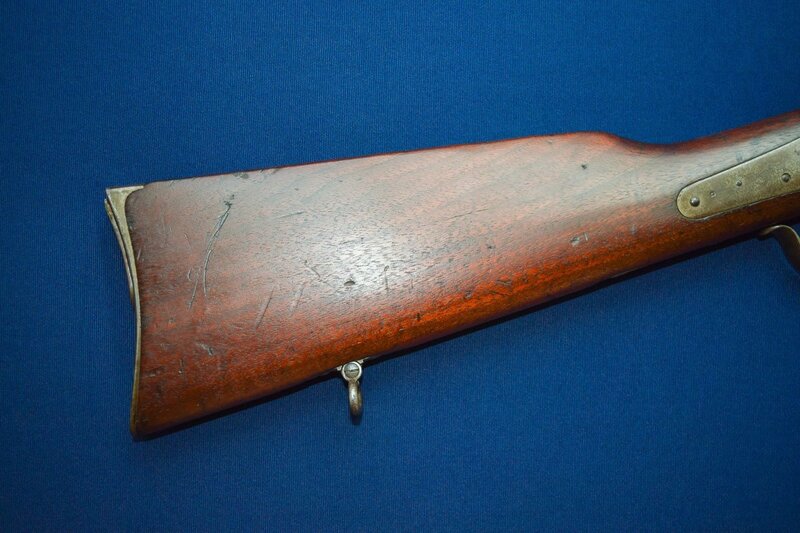 This Springfield Altered rifle shows all the correct alterations & remains in very good condition. 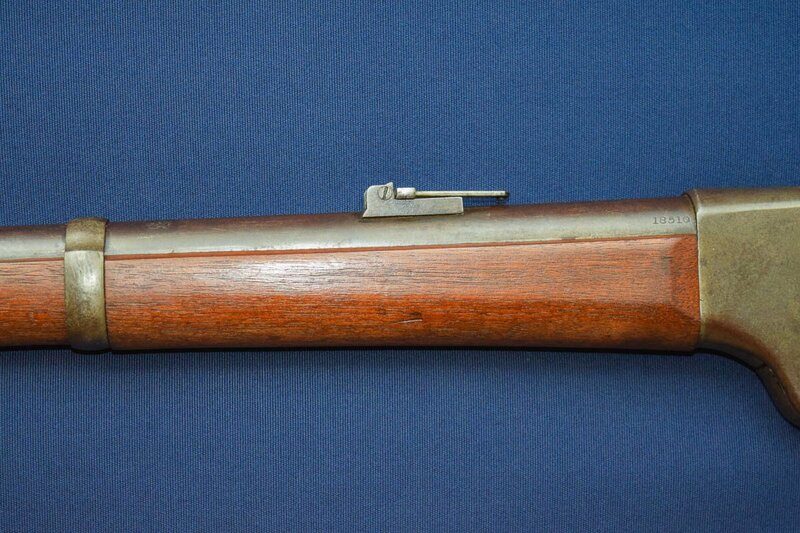 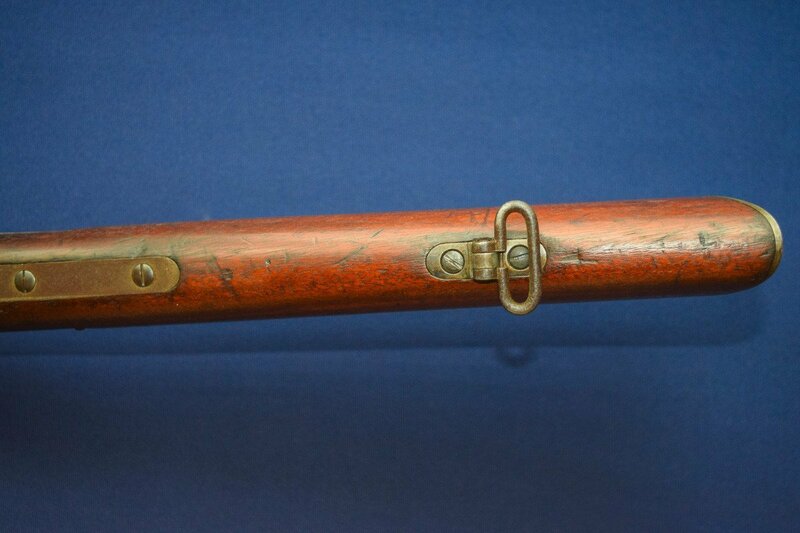 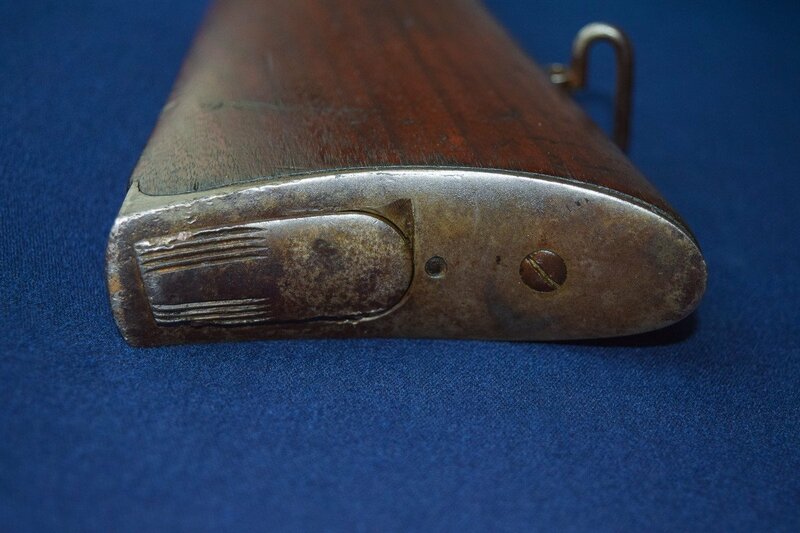 Crisp markings throughout including top plate of receiver marked, “MODEL 1865/SPENCER REPEATING RIFLE/PAT’D-MARCH 6,1860/MANUF’D AT PROV. 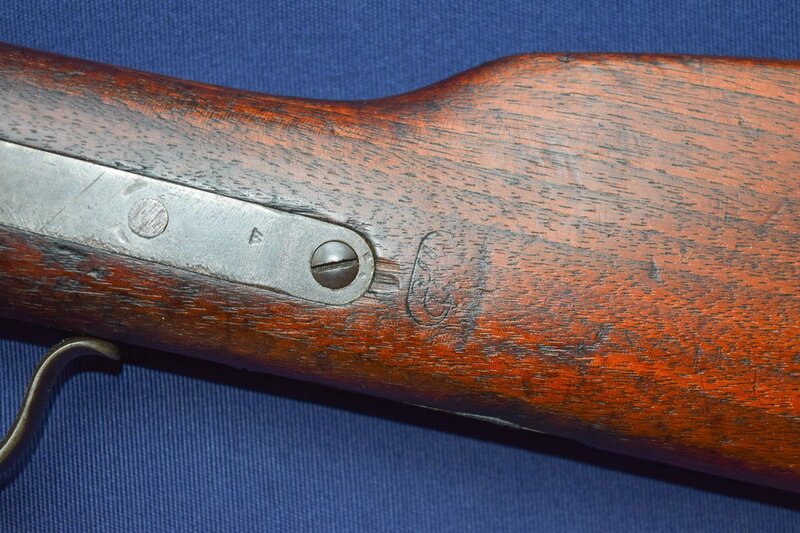 R.I./ BY BURNSIDE RIFLE CO.” Visible military inspectors’ cartouche on left side of stock behind saddle ring plate & matching serial number stamped on barrel at receiver. 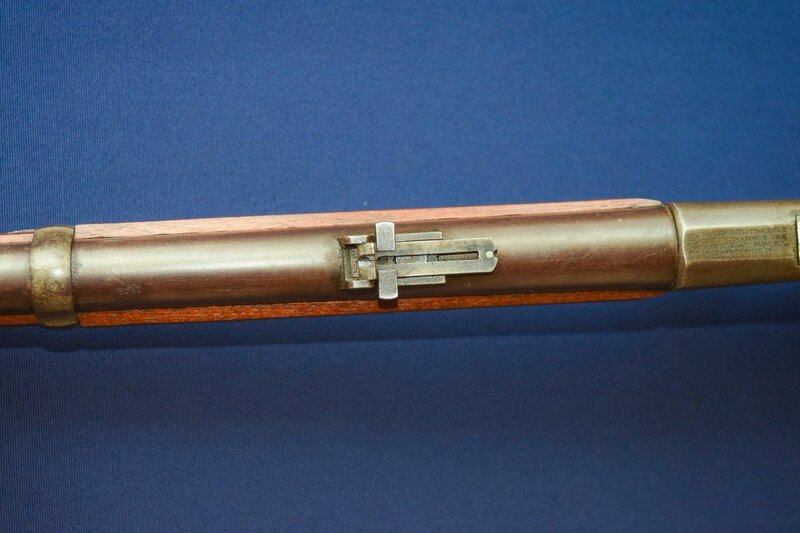 Saddle ring has been plugged. 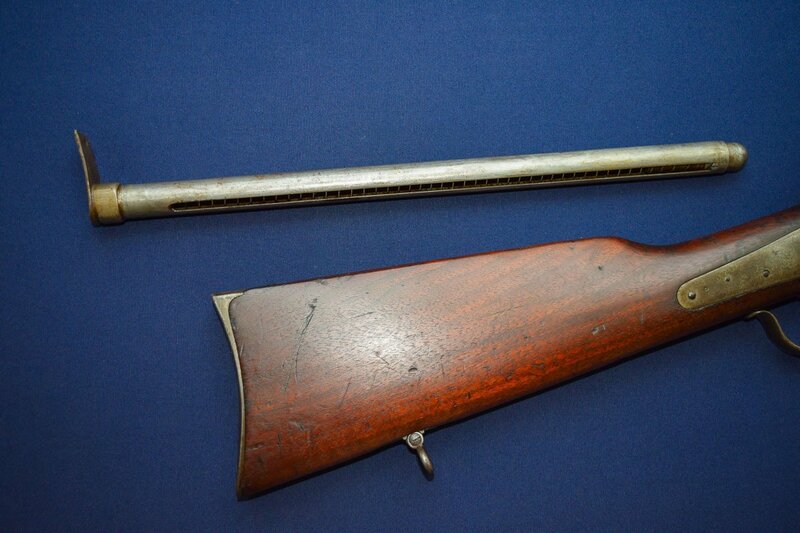 7 round tube magazine, iron sling swivels & cleaning rod are present. 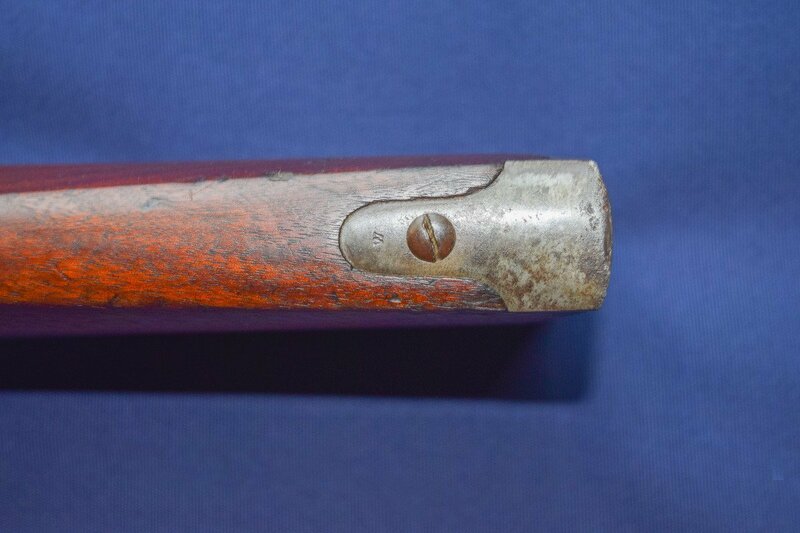 Metal surfaces show a pleasing patina with hammer showing good case colors. 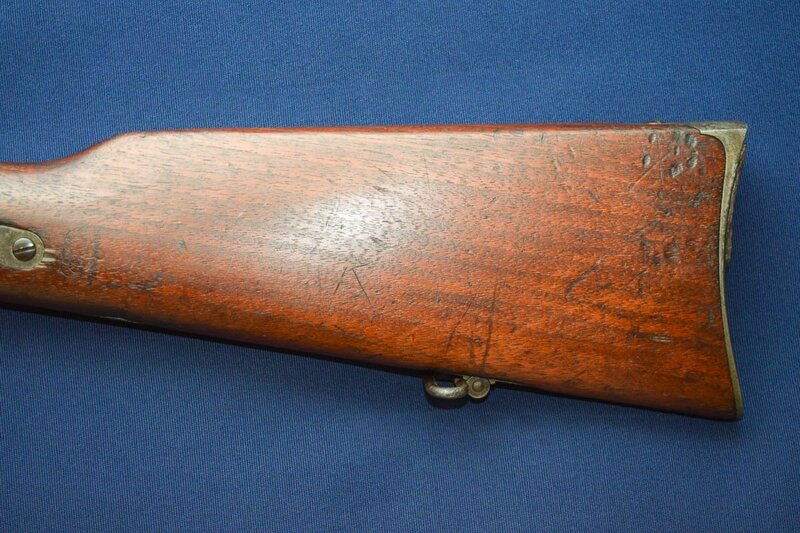 Stock is very good showing typical scattered use marks with no cracks. 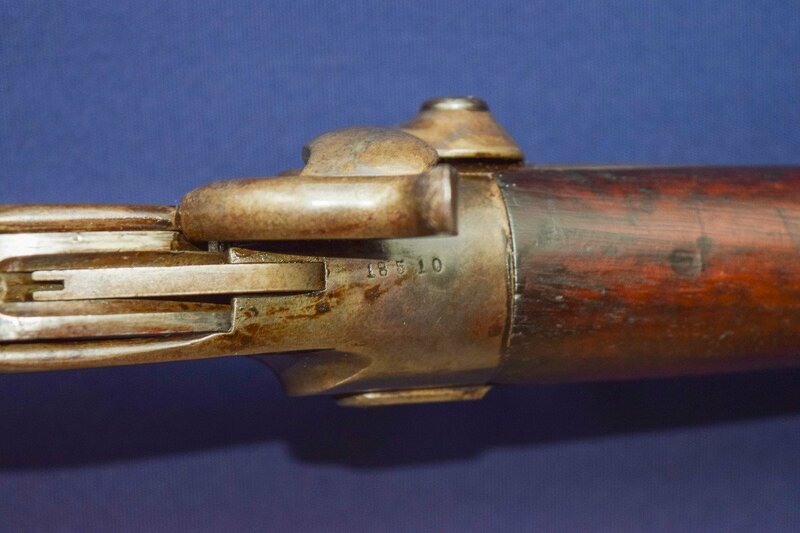 Mechanically sound with good bore showing moderate pitting towards muzzle. 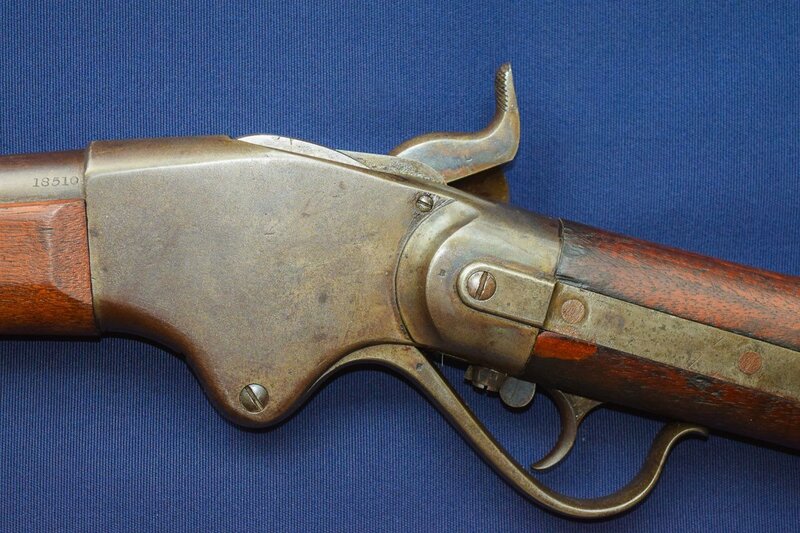 Overall a nice example of a rarely seen Springfield Armory rifle musket conversion of a Burnside/Spencer M1865 carbine.